Could we see fewer Android products from Samsung following Apple's courtroom victory? Now that a jury has weighed in, Samsung and its U.S. carrier partners may be weighing changes to the Galaxy lineup in an effort to avoid a potential Apple injunction during the upcoming holiday season. In fact, Samsung officials are working with Verizon Wireless and other carriers to modify products found to infringe on patents held by iPhone maker Apple, according to a Korea Times report. The carriers and Samsung plan to "jointly develop modified design technology," without elaborating on exactly what those plans might entail. Samsung will have a shot at avoiding a potential ban on its products when U.S. District judge Lucy Koh hears arguments from both Apple and the Korean manufacturer on December 6. If that hearing is unsuccessful, Samsung may see its eight of its products banned from sale in the U.S. right before Christmas. The report also claims Samsung could be planning to reduce its dependence upon Google's Android platform, possibly "warming up to Microsoft" in an effort to offer more Windows Phone handsets. 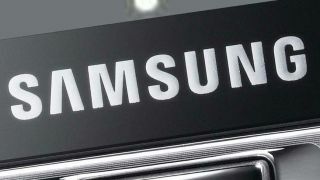 Samsung is already the first smartphone manufacturer to announce a new Windows Phone 8 handset with its Ativ S, although Nokia and others are expected to follow suit in the weeks ahead.